The arts aren’t singular pursuits produced in a vacuum; they can react to each other as much as we can react to them. The blending of poetry and illustration is something that has always taken place in the creative world, and the combination of the two pursuits can result in pieces becoming even stronger than they were individually. To this end, we are holding numerous events at this year’s Bodmin Moor Poetry Festival to celebrate the collaborative potential between these two artistic forms. Poetry and visual art have always worked well together in enhancing the consumer’s experience of the pieces, helping to develop engagement and understanding. This is especially true for art in children’s poetry. Illustrations can help bridge the gap between a child’s imagination and the vocabulary they might not understand, specifically with younger children. Children’s writers can be as known for their artistic collaborators as their writing, such as artist Quentin Blake with the writer Roald Dahl. Dahl’s work is almost synonymous with Blake’s drawing’s, with his illustrations helping to enhance the reading experience of books like the poetry collection Revolting Rhymes. The collaborative potential of these two mediums for children will be showcased in our event with the local Hillfort Primary School children, who have been working with their poet-in-residence Sarah Cave and illustrator Lucy Kerr to create poetry and visual art from imagined ideas of landscape, language and space travel. Of course, the use of illustrations in poetry isn’t solely for the benefit of children, but also allows for a greater depth of artistic pieces in general. A major example of this can be seen in Romantic poet William Blake, who produced engravings to go alongside his writings in the poetry collection ‘Songs of Innocence and Experience’. The pieces he produced were beautiful but also held rather dark ideas, exploring themes such as child labour in ‘The Chimney Sweeper’ and religious persecution in ‘A Little Boy Lost’. The two art forms work together to create a fully-formed creative piece that would have a different effect on the consumer if viewed separately. This idea of the weaving the two art forms together in a singular piece will be explored in our Geological Encounters workshop with Holly Corfield Carr and Dr Rose Ferraby, who are going to ‘combine visual and textual modes of working’ as inspired by a stone. Transforming poetry into a visual art form is arguably even more relevant today than it was 200 years ago, largely due to the rise of social media. The popularity of photo-sharing platforms like Instagram and Pinterest means that modern poetry benefits from being as appealing visually as it is just through the words alone. 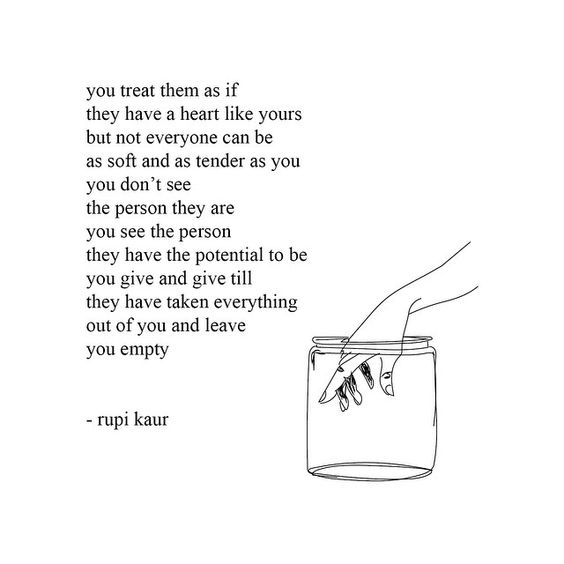 Poets such as Rupi Kaur, author of the bestselling Milk and Honey, are creating illustrations that work with their poetry to make it more aesthetically appealing and accessible to a larger audience. While some may say that this could detract from the value of the poems on their own merits by shifting the focus to the visuals, if this helps to get more people interested in poetry it should be encouraged and praised. The place of illustration in poetry is something that is going to be discussed in our festival panel on the topic with speakers Emily Juniper, Phyllida Bluemel, Lucy Kerr and Dr Rose Ferraby. Whether produced by one artist or separately in response to each other, poetry and illustration can work together to produce news kinds of art. To dismiss them as entirely separate entities is to ignore the benefits they can bring to one another in understanding and potentially bringing in new audiences to both mediums. Collaboration is always good; artistic collaboration is even better.